The two most significant advantages of point-to-point encryption (P2PE) are as follows. If card data, transmitted from the terminal to the POS application (and on, to the payment gateway), is encrypted, the merchant application does not handle card numbers and the merchant’s PCI scope is reduced. 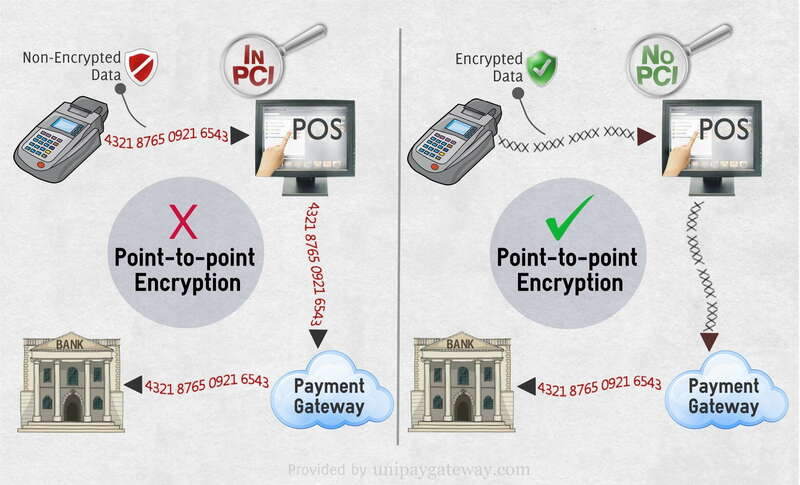 Also point-to-point encryption provides an additional credit card fraud protection mechanism. Consider the diagram below to understand better how point-to-point encryption works and what benefits can be obtained from its implementation. If you want to learn more about point-to-point encryption, read the respective article on #Paylosophy.